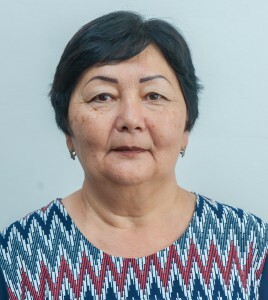 Tugambekova Marksiana Alpysbaevna was born on the 16 th of September in 1960 in the village of Karagaily in Karkaralinsk district. In 1977 I graduated 10 classes of secondary school №1 and entered the Institute of Foreign languages in Alma-ATA. In 1982, after graduation I was sent to work in the village of Karagaily in Karkaralinsk district as a teacher of a foreign language. In 1994 I moved to Karaganda, worked at the State University named E. A. Buketov and in other educational institutions too. Currently I work at the State Technical University in Karaganda. 5. Regional scientific – practical conference «Tugan Zher-2018» may 18, 2018. 6. All-Russian scientific and practical conference «Modern trends in the development of fundamental and applied Sciences», Bryansk state University of engineering, Russia March 12, 2018. 1. Participation in the seminar (December, 2017) Certificate is available. 2. Participation in The international seminar “Problems and Prospects for multilingual Education development” on February 21, 2018. Certificate is available. American English Live: Teacher Development Series 1 – 6 Hours. Certificate is available.